Assign (write it down if you want to!) 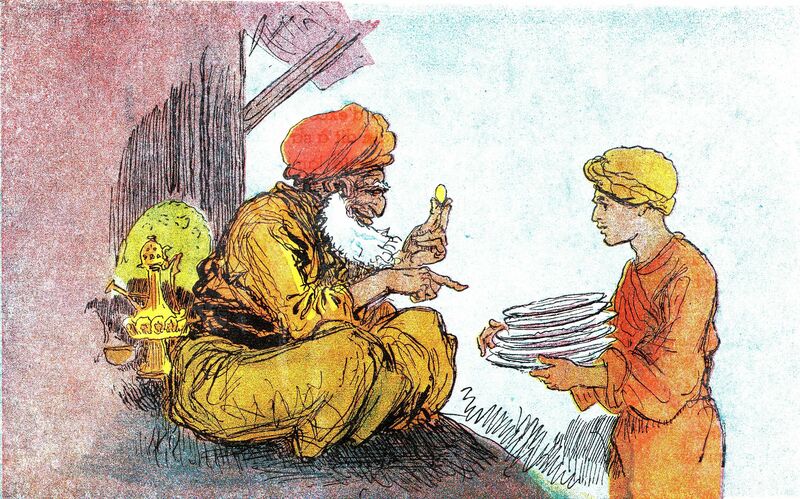 the likelihood that Aladdin was a) Persian; or b) Chinese. Seriously, what would you guess? I’m going to tell you the answer. He was Chinese. OK, now go back, and be honest, assign the probabilities again. Well, don’t really do that – in a blog post this experiment will fail because you haven’t had time to forget what you did! But in a real psychological experiment published in 1977, psychologists looked at exactly this. Subjects in the experiment were presented a series of questions in one of three scenarios. One group did what I asked you to do – rate the probabilities of the questions being right or wrong, then were told the correct answer, and then they rated them again (after doing some other stuff in between so they would forget exactly what they did earlier.) Another group wasn’t told the correct answer, so their second rating was mostly a memory test. The third group only rated the probabilities once – while also seeing the correct answers. The idea was to confirm whether there is what they called a “knew-it-all-along effect”. So what does this mean for data storytelling aficionados? I’m not entirely sure. This study, in particular, tells me that if an audience is told they are “right” or “wrong” about an idea, they will be more likely to believe that they knew it all along, which we might assume will reinforce their own biases for or against the information you’re sharing with them. This is already an uphill battle, but this “knew-it-all-along effect” may make it even harder to overcome. Why am I writing about this here? Because data communications is a fascinating intersection between what we consider “truth” (data), and “art” (aesthetic expression), “communications” (sharing of information), and “persuasion” (changing attitudes), which research can help inform. Meanwhile, humans have deep biases about information and how we process it; humans process visuals, specifically, based on a variety of neurological and psychological processes that are worth understanding; and there are entire fields of study devoted to concepts like persuasion. And we are living in a time of “alternative facts” when even the basic idea of what is “truth” is up for debate. This will impact how we communicate with our audiences about everything and we will need to develop strategies for data communications to overcome our audiences’ biases if we want to have an impact. I’m currently reading endless reams of research in consideration of writing a book and plan to write more posts about the various findings along the way. If you know of any research studies, books, articles, that I should be looking at, please email me (bill [at] beehivemedia [dot com]) and let me know about them! My focus is on data storytelling/visualization for persuasion.